Most people with Alzheimer's disease are cared for at home by family members. Within families, caregiving is provided most often by wives and husbands, followed by daughters. As Alzheimer's disease gets worse, the person will need more and more care. Because of this, you will need more help. It's okay to seek help whenever you need it. the Alzheimer's Association at 1-800-272-3900. Various professional services can help with everyday care in the home of someone with Alzheimer's disease. Medicare, Medicaid, and other health insurance plans may help pay for these services. Contact Eldercare Locator to find the services you need in your area by calling 1-800-677-1116 or visiting www.eldercare.gov. Home health care agencies, like Caregivers of South Carolina, send a home health aide or nurse to your home to help you care for a person with Alzheimer's. They may come for a few hours or stay for 24 hours and are paid by the hour. Some home health aides are better trained and supervised than others. Ask your doctor or other health care professional about good home health care services in your area. Get as much information as possible about a service before you sign an agreement. Also, ask for and check references. Here are some questions to ask before signing a home health care agreement. For more information on a local home health care service, click here. Meal services bring hot meals to the person's home or your home. The delivery staff does not feed the person. 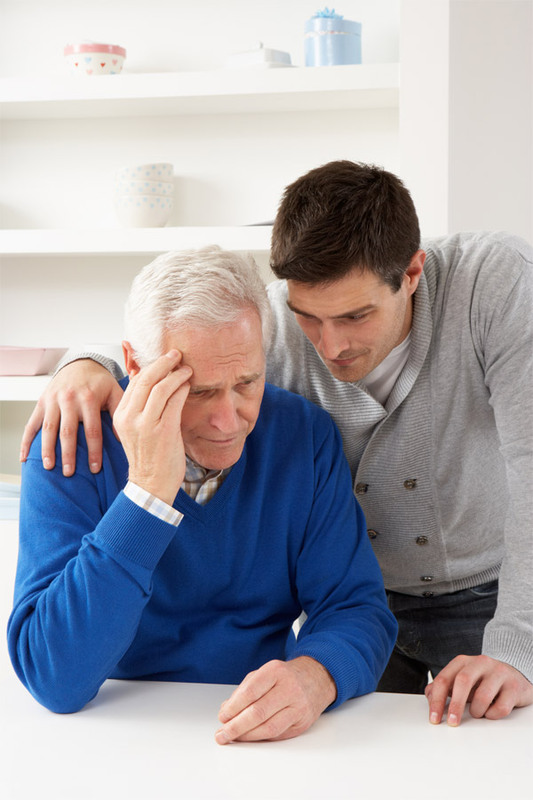 The person with Alzheimer's disease must qualify for the service based on local guidelines. Some groups do not charge for their services. Others may charge a small fee. For information, call Eldercare Locator at 1-800-677-1116 or go to www.eldercare.gov. You may also contact Meals on Wheels at 1-888-998-6325. Adult day care services provide a safe environment, activities, and staff who take care of the person with Alzheimer's at their own facility. This provides a much-needed break for you. Many programs provide transportation between the person's home and the facility. Adult day care services generally charge by the hour. Most insurance plans do not cover these costs. To find adult day care services in your area, contact the National Adult Day Services Association at 1-877-745-1440. Respite services provide short stays, from a few days to a few weeks, in a nursing home or other place for the person with Alzheimer's disease. This care allows you to get a break or go on a vacation. Respite services charge by the number of days or weeks that services are provided. Medicare or Medicaid may cover the cost of up to 5 days in a row of respite care in an inpatient facility. Most private insurance plans do not cover these costs. To find respite services in your community, visit the National Respite Locator Service. Geriatric care managers visit your home to assess your needs and suggest and arrange home-care services. They charge by the hour. Most insurance plans don't cover these costs. To find a geriatric care manager, contact the National Association of Professional Geriatric Care Managers at 1-520-881-8008. Mental health professionals and social workers help you deal with any stress you may be feeling. They help you understand feelings, such as anger, sadness, or feeling out of control. They can also help you make plans for unexpected or sudden events. Mental health professionals charge by the hour. Medicare, Medicaid, and some private health insurance plans may cover some of these costs. Ask your health insurance plan which mental health counselors and services it covers. Then check with your doctor, local family service agencies, and community mental health agencies for referrals to counselors.